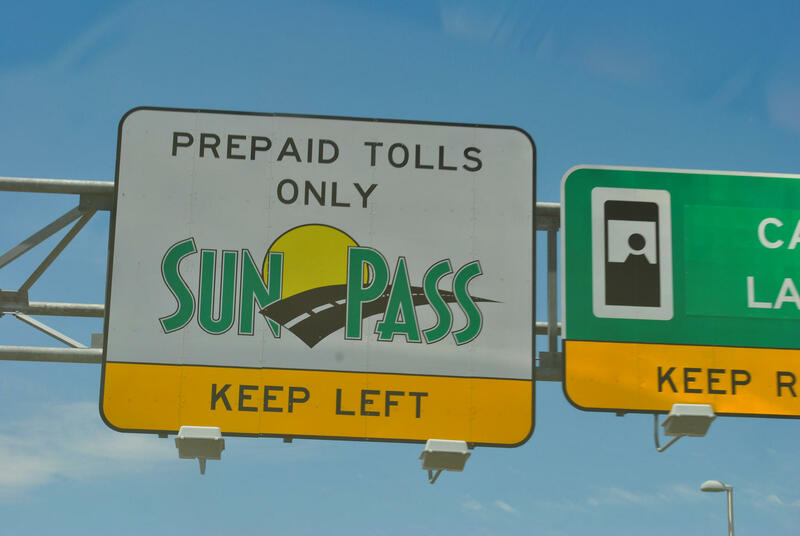 Florida’s prepaid toll road system is known as Sunpass. More toll roads in Florida are converting to all-electronic, no cash tolling. Users can buy Sunpass transponders to get discounts on tolls or opt for toll-by-plate billing. Final invoices are going out this week to SunPass customers who got caught in a billing backlog. The problem began with a trouble-plagued update to the state’s toll road system, and issues that have bedeviled a SunPass contractor since last June still haven’t been completely worked out. As the last invoices were being readied, the Senate Infrastructure and Security Committee got an update on the Sunpass debacle. “There are customer billing discrepancies throughout these areas, overcharges, poor website performance, and a call center with unacceptable wait times,” said committee Chairman Tom Lee, R-Brandon. He laid out the issues with the company hired by the state to upgrade and consolidate Sunpass office operations. The Florida Department of Transportation contracted with Conduent State & Local Solutions for the work in 2015. The department solicited proposals and deemed six vendors to be qualified. The department says Conduent was chosen because the company offered the best value. The Times/Herald Bureau in Tallahassee later found financial ties between Conduent and former Governor Rick Scott’s investments. The system upgrades began last June and were supposed to take one week to deploy. But the system didn’t go live as planned, and Lee says there have been significant implications -- like problems with processing a lot of payments. “Just the Turnpike alone is a billion dollars a year in toll collections, and that’s about 2.7 million dollars a day, two and a half million transactions a day,” Lee said. “Watching in Hillsborough County, I was astounded and appalled at what I saw unfold,” said Sen. Janet Cruz, D-Tampa, who has several toll roads in her district. Cruz says the state made a mistake in hiring Conduent as well as keeping the company around after so much turmoil. “In my opinion, they failed us miserably, and to work with them and give them the opportunity to do this when they were unqualified in the first place personally offends me,” Cruz said. Conduent has been fined $780,000 so far for not meeting deadlines. The company could incur fines totaling a quarter of its $343 million contract. Sen. Keith Perry, R-Gainesville, took a different view. He says he’s never seen any system launch without problems, and they shouldn’t be too quick to break a contract. Senator Ed Hooper, R-Palm Harbor, likened problems with the Sunpass upgrade to the state’s unemployment website that relaunched in 2013 behind schedule and with design flaws. He thinks stronger wording in state contracts could help. Lawmakers were told the Sunpass system is now functioning as it should, and the final 4.4 million invoices left over from the backlog are in the process of being sent out. Those invoices are mainly going to motorists who don’t have transponders and instead use the toll-by-plate system. Florida Department of Transportation District 4 Secretary Gerry O'Reilly was asked whether the problems with Conduent’s upgrades have been blown out of proportion. The committee chairman said officials from Conduent were invited to talk to senators about the roll out, but no one from the company attended the meeting. ~The News Service of Florida contributed to this report. Governor Rick Scott wants to find better ways for the public to evacuate, in case of an emergency. He’s ordering an evaluation of the state’s roadways. As Venezuela grapples with economic and political instability, some Florida lawmakers want Congress to take action in an effort to provide relief to the country’s citizens.